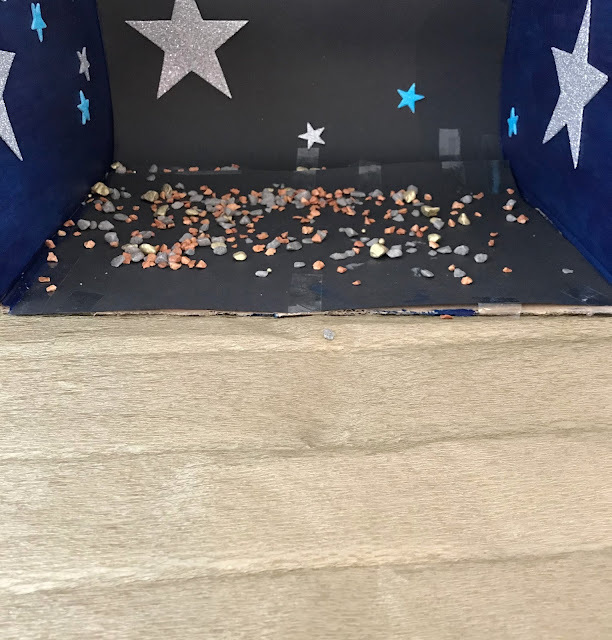 To create their background they used the box the toys had came in and cut the top off, so it was easier for them to decorate. They covered the box in black paper and painted the sides a dark blue, before covering the sides with star stickers to create a space vibe. They placed metallic tissue paper on the bottom to create the planet flooring, before covering with 'space rocks' - metallic stones. It only took them around half an hour to create the Space themed background and they really enjoyed creating it. Once the background was complete they added the new PJ Masks Super Moon Toys and it really helped set the scene and help the children come up with some fun games to play with the PJ Mask toys. The toys we were sent were the Super Moon Adventure Fortress (£29.99) which comes with a Cat Boy and Luna Girl figure. The set is all built and is ready to use as soon as you take it out of the box, always good when you have impatient children. The set looked really good on the space-themed background and the children were soon making up games to try and trap Luna Girl and save the day. 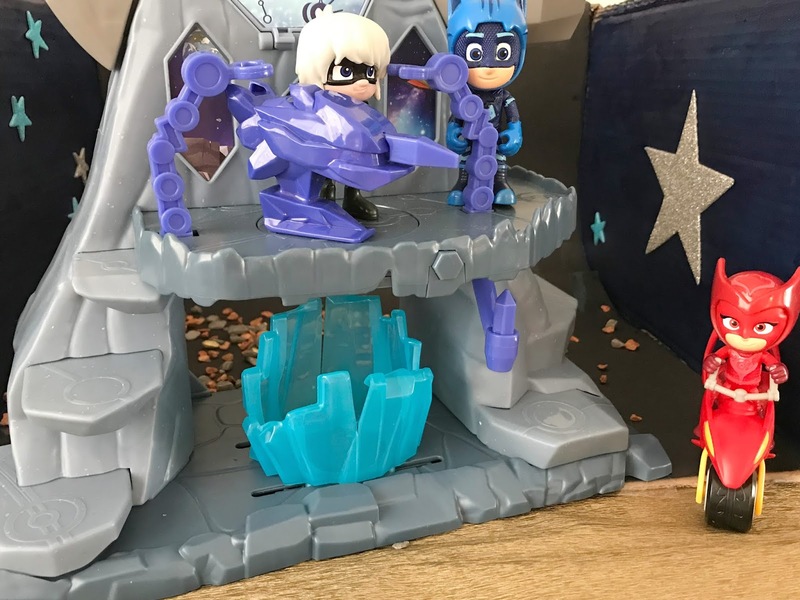 We were also sent the three PJ Mask characters Cat Boy, Geko and Owlett who each came on their own Super Moon Space vehicle and with an accessory (£9.99 each). 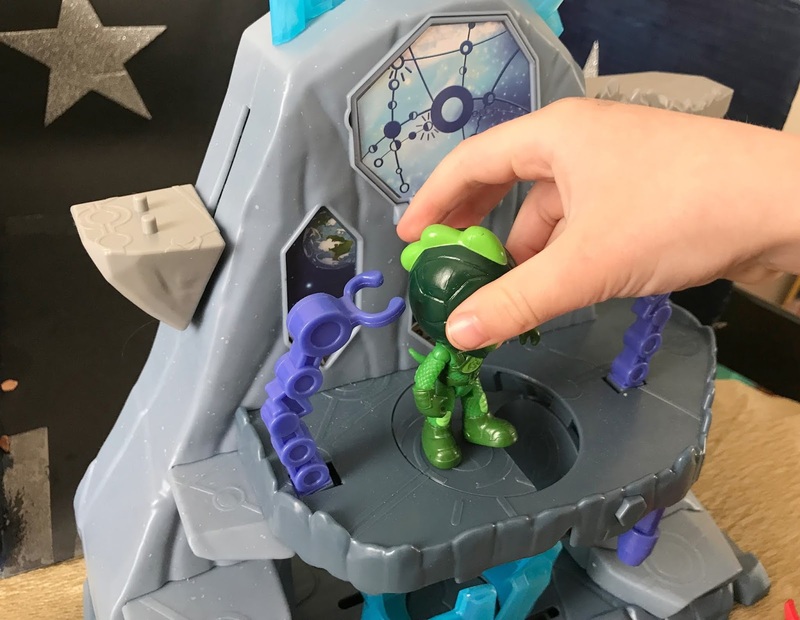 If your children are PJ Mask fans then I am sure they will love these new Super Moon toys and be sure to create your own Space themed background as they are so quick and easy to make and really make playing with the toys more fun. 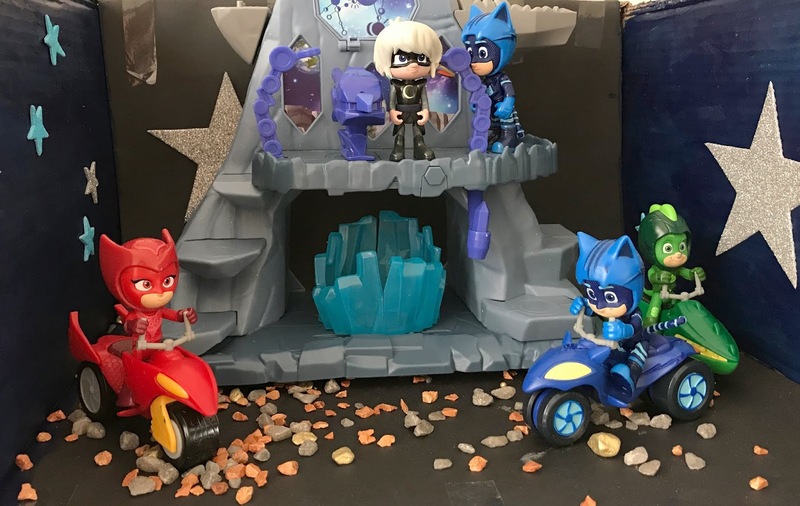 The new PJ Masks Super Moon Toys are available to buy from all leading toy retailers now. Disclosure I was sent these toys for the purpose of this review, all opinions are my own.